Coastal Companion Care is an independently owned and operated non-medical home care provider servicing Southeast North Carolina for over 14 years. We are a licensed Home Care agency through the North Carolina Department of Health and Human Services. Our services range from non-medical home care, transitional care, and sitter services. We provide personalized assistance with activities of daily living, including transportation for you or your loved one, from a few hours a day to 24 hours a day, in the comfort of your own home. With over 80 years of Home Care industry experience amongst our office team, Coastal Companion Care is an organization of professional, loving and supportive individuals. Our mission is to make it possible for seniors to live confidently and independently in their homes. We choose to make a positive difference in the lives of the individuals we serve and their families who love them. The Coastal Companion Care team will perform its collective duties with confidence, concern, commitment, cheerfulness and care. We will treat every contact as a friend, every client as family and perform every task with honor. Based out of Southport, Coastal Companion Care has been a premier provider in Brunswick County for the past 14 years. Due to the growing need to serve the Wilmington community, we have opened our 2nd location in Wilmington on Military Cutoff Rd. 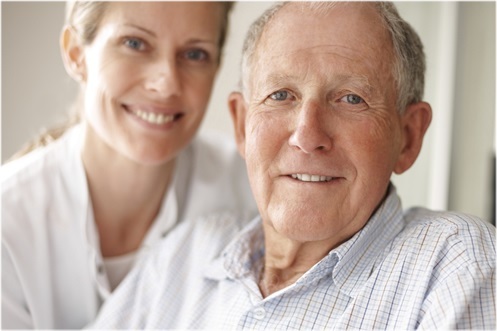 Our mission as the local provider is to serve individuals Home Care needs and help them "Live Well at Home"!